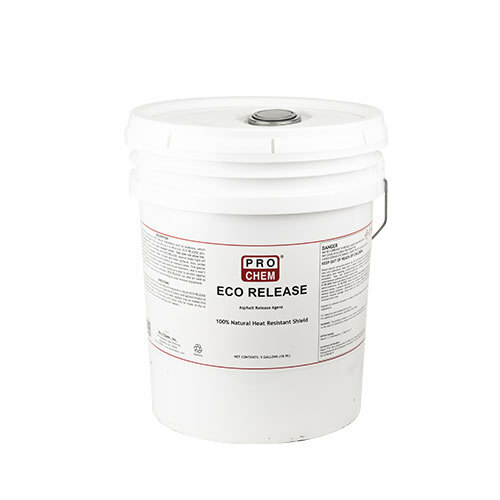 ECO RELEASE | Pro Chem, Inc.
For easy release of asphalt from truck beds and equipment, dilute ECO RELEASE 1:10 with water (1 quart product to 2.5 gallons of water) and agitate briskly to ensure good mixture. Spray the back of truck beds. 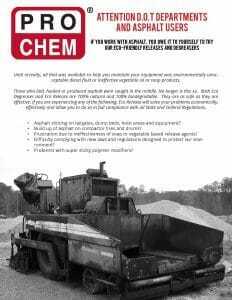 Asphalt may be loaded into the truck bed right away. A 1:10 solution with water may be made to dip or spray onto rakes and shovels while working with asphalt.